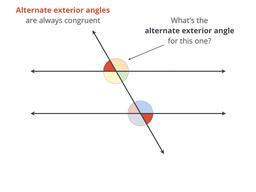 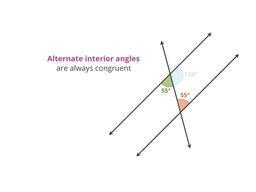 The mathematics of lines, shapes, and angles. 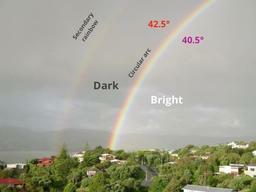 Essential stuff for describing the world around you. 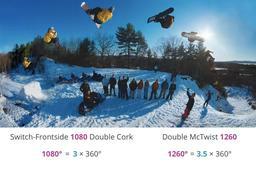 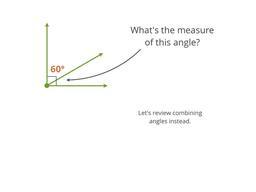 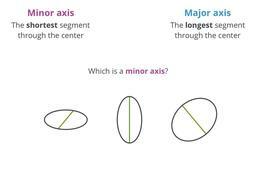 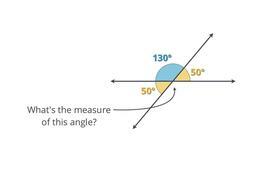 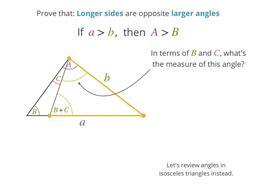 What about angles bigger than 360 degrees? 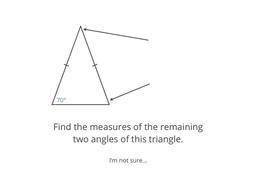 See if it's really true, and then prove it! 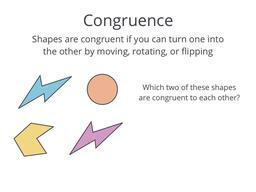 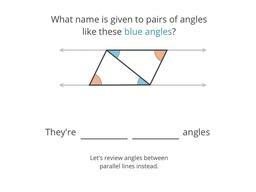 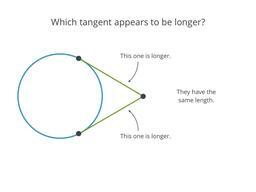 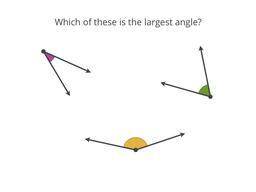 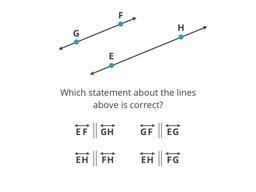 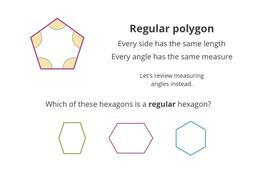 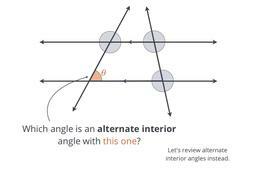 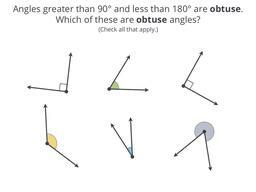 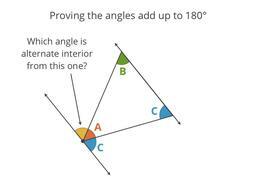 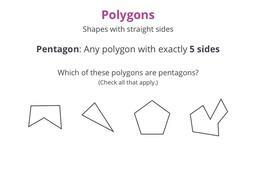 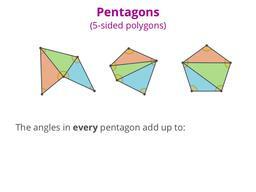 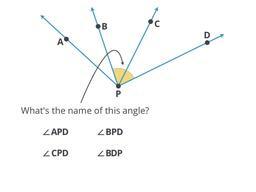 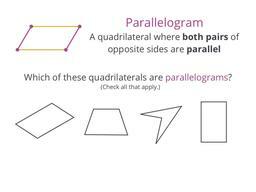 They have two equal sides, but what about their angles? 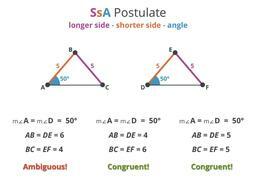 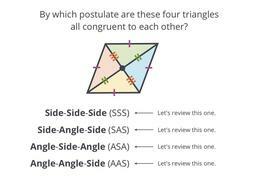 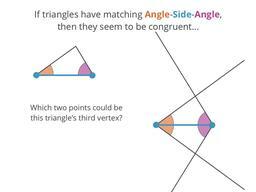 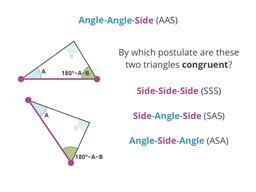 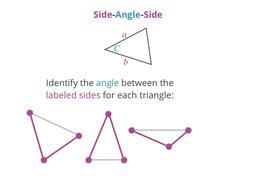 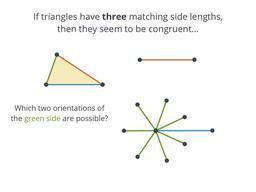 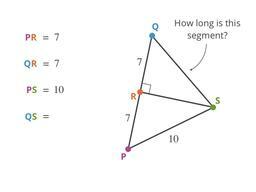 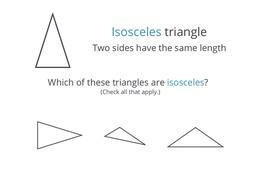 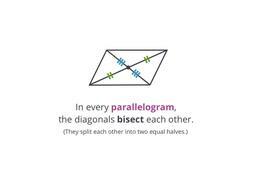 In triangles, sides and their opposite angles are related! 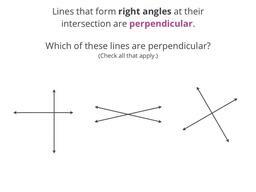 Use similarity to find unknown side lengths! 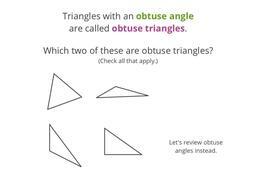 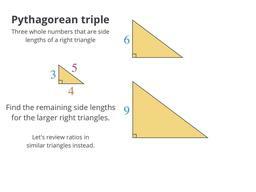 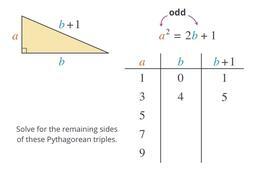 Depending on the sides, you can have 0, 1, or 2 triangles! 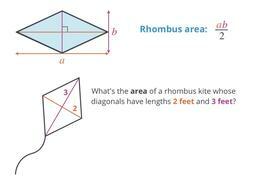 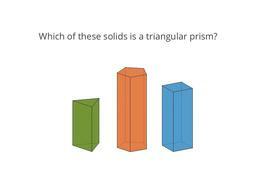 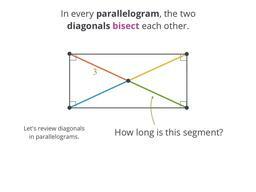 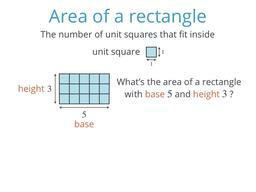 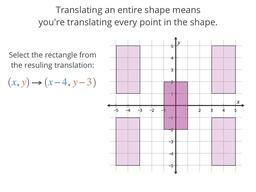 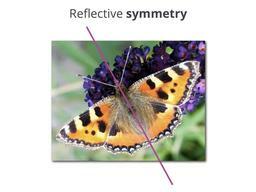 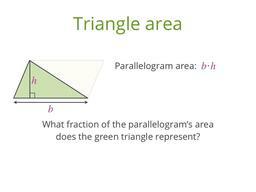 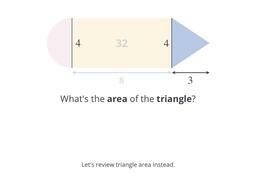 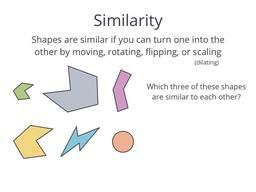 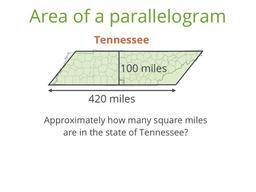 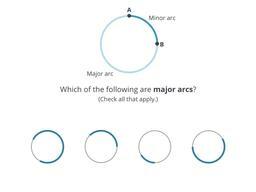 Learn about rectangles, rhombi, and more! 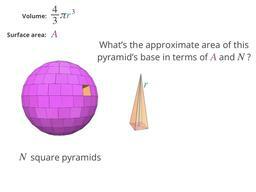 You might know the formula, but where does it come from? 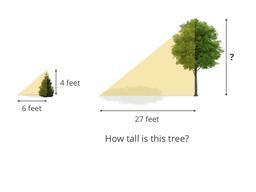 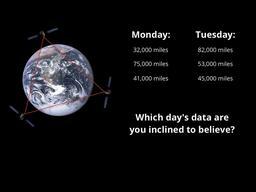 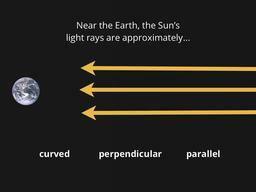 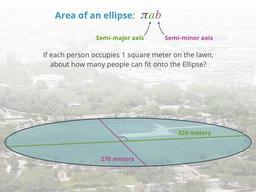 Use shadows to measure the Earth's circumference! 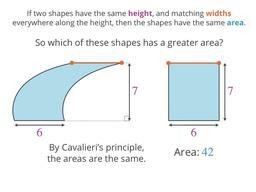 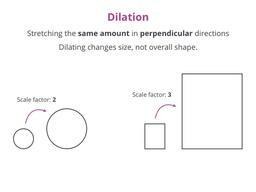 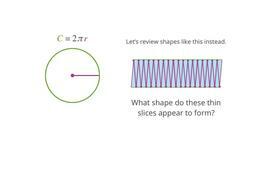 Add and subtract the ares of simpler shapes! 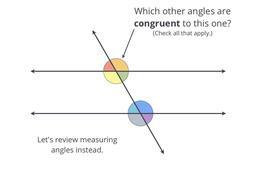 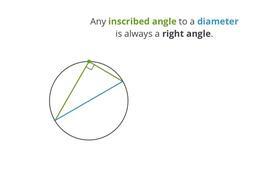 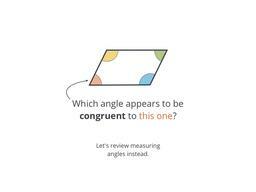 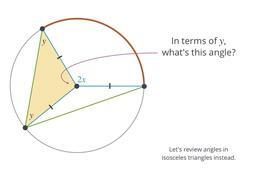 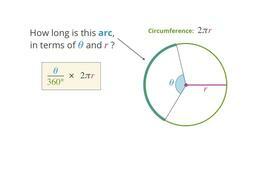 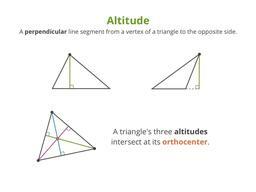 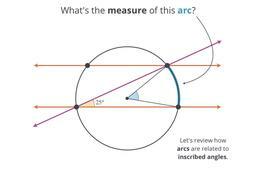 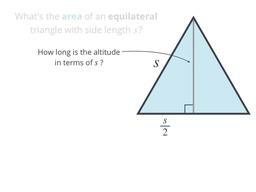 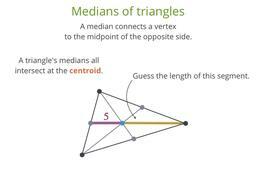 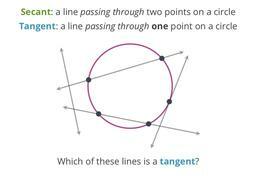 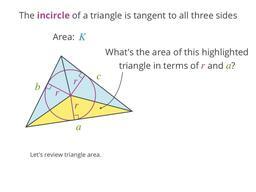 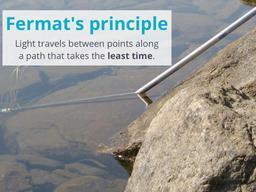 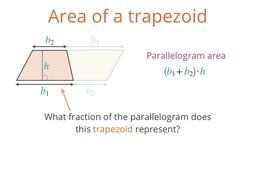 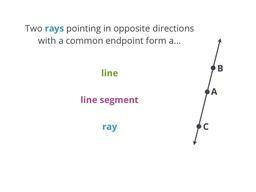 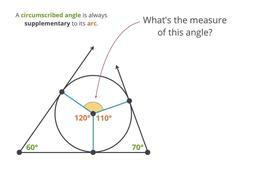 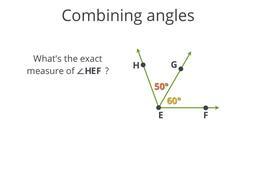 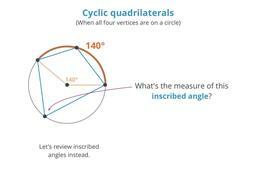 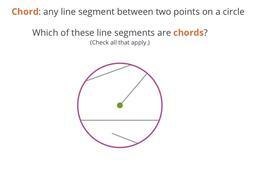 Discover how inscribed angles are related to central angles! 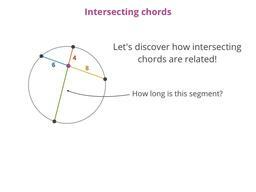 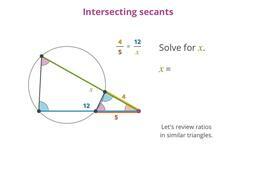 Like chords, intersecting secants are also related! 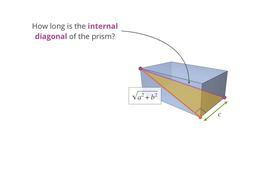 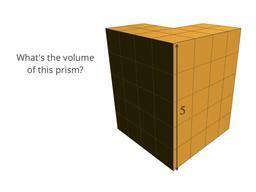 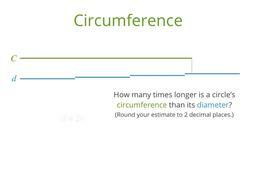 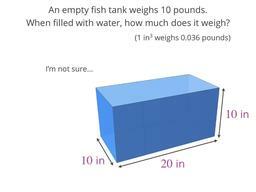 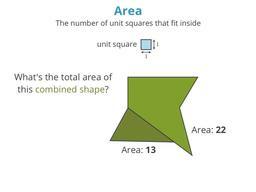 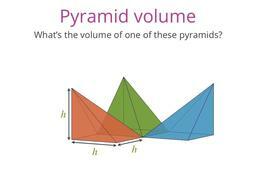 Discover how to find the volume of any box! 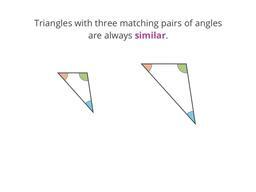 Instead of matching widths, you'll be matching areas! 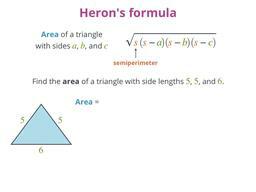 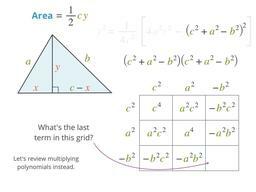 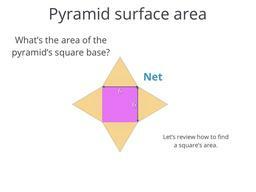 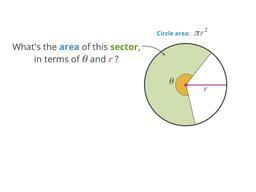 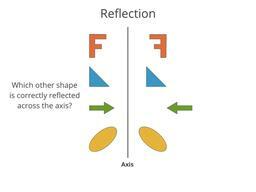 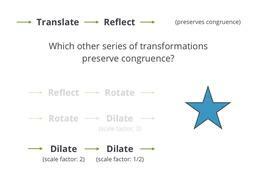 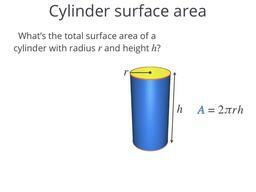 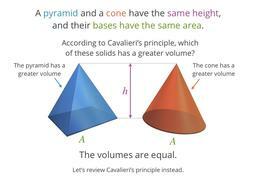 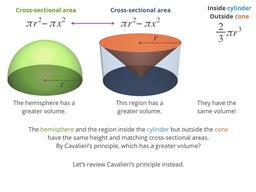 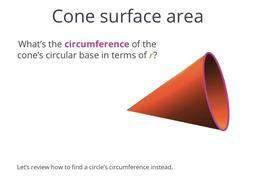 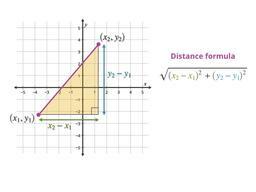 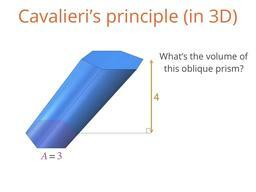 Discover and use the formula for a cone's surface area! 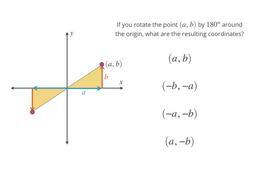 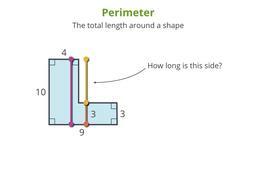 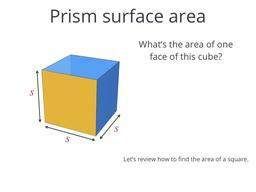 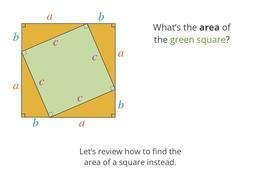 What's the distance between opposite corners of a cube?